Am few weeks away from embarking on a football pilgrimage, a major tick off my bucket list, to watch my favourite football club (FC Barcelona), the biggest club football game on earth (El Clasico) and some top class European Champions League knock out games live. My last blog speculated if the upcoming El Clasico would be the most insignificant one this century; Today I focus on Barcelona, beyond Nou Camp. The gap between the El Clasico giants still stands at 12 points after Game week 28. Real Madrid safely negotiated the tricky home encounter vs Celta Vigo while Barcelona saw off Eibar with equal ease. Madrid have, for now, established the third spot in La Liga table and cannot afford to slip down. A fourth place finish would mean playing next season’s Champions League qualifiers, which will then curtail their revenue generating summer tour. With nothing more to add for El Clasico build up, let me share my previous experience of the city of Barcelona, beyond the Nou Camp citadel. My ABC of Barcelona, beyond football, would be Architecture, Beaches and Caganer. Let’s start in reverse order! With the weird and the absolute! Last time I visited (in 2013), I was stunned to see several statues of the Barcelona team players doing potty – all over the tourist shops! I was told by our guide and friend, Nestor Centelles Duran (obviously a keen Barca supporter) that the statues are a tradition of Catalonia, called Caganer. The ‘Caganer’ means creating faeces and fertilizing the earth. Apparently from 19th century, this was a customary figure amongst the natives and symbolized soil fertilization, good health of body and peace of mind. Many modern Caganers represent celebrities and authority figures. By depicting them with their pants down, the Caganer serves as a leveling device to bring the mighty celebrity down to levels of commoners. Barcelona almost always features amongst the top ten most visited cities of the world. For a football fan, it gets even better with beaches, sun, sand pretty ladies and lots of food. Their famous delicacy is the Paella – a non vegetarian version of the Indian khichdi. Barcelona’s famous attractions have the Gaudi architecture. The man behind this gothic design, Antoni Gaudí, designed some of Barcelona best buildings in the 19th century. 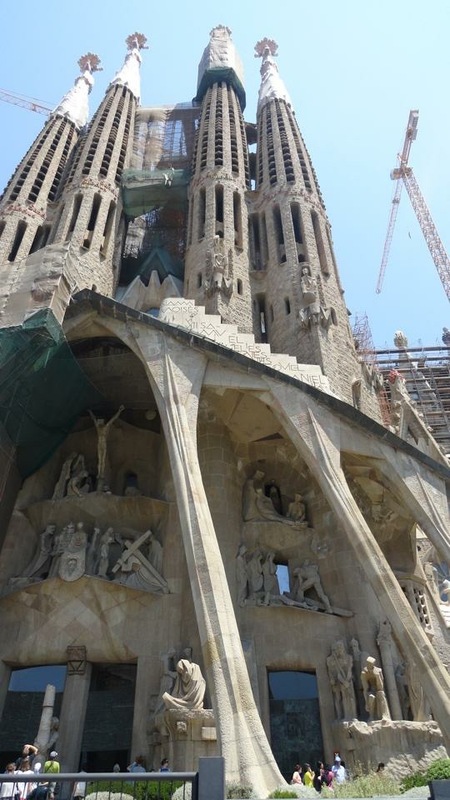 In 1883 he took over the design of the famous Sagrada Familia and took 43 years complete it. In 1914 he left all other work to concentrate exclusively on this project until his death on 10 June 1926, the result of a tragic road accident three days earlier. Despite his greatness, he lived life of simpleton to the extent that passersby couldn’t recognize and assumed him to be a beggar, injured on street. This was the reason why the police admitted him to an ordinary government hospital where the architect breathed his last. I also had the privilege of having a sneak peek at La Masia (Barcelona academy, just next to Nou Camp) as well as the secretive Ciutat Esportiva Joan Gamper – where the senior team practices behind closed doors before any key encounter – away from eyes of public, media or anyone who can remotely leak out strategic details. This ground is located 15 minutes away from the city. Photography was prohibited at this ground. 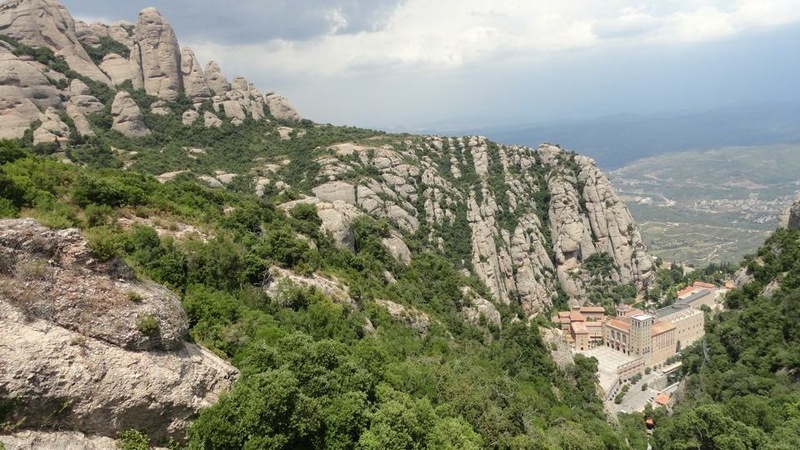 A must see attraction just outside the main city would be the Montserrat (In Catalan means “Handsaw Mountain”). The multitude of rock formations is located 30 minutes off the city and gives great mountainous views of the region. The site is famous for Virgin of Montserrat sanctuary, location of the Holy Grail. The mountain is composed of strikingly pink conglomerate, a form of sedimentary rock, and is Spain’s first National Park. Previous Previous post: Zootopia is a city you want to live in!